Does the thought of dental work make you squirm or wince? If you have ever avoided going to the dentist due to anxiety or apprehension, you are not alone. Dentistry has long acknowledged that for many, the procedures needed to restore and maintain dental health can sometimes be uncomfortable or even painful. We care about every aspect of your health, including your feelings about dental procedures. Harris Dental goes to great lengths to ensure your comfort and peace-of-mind while we take care of you. We can provide mild sedatives to calm apprehension and ensure your comfort, particularly during long cosmetic or restorative procedures. Our dentists and technicians are DOCS Certified, so you can be assured our sedation protocols are completely safe. If you have been holding off seeing a dentist out of fear or anxiety, please be assured that we will do all we can to make your visit not only painless but even pleasant. Laughing gas remains the most popular sedation method used across the country It is administered by a mask over the nose for the duration of your procedure. With laughing gas, you can feel relaxed and comfortable while visiting us at one of our four offices. The effects of laughing gas wear off quickly, so you can safely drive yourself to and from your appointment. Conscious sedation (also known as oral conscious sedation) is a great method to help you stay relaxed during a dental procedure. You will take a pill about an hour before your procedure. This causes you to feel pleasantly relaxed before your appointment even begins. More importantly, you can feel calm and relaxed while you get the care you need. You will require a ride to and from your appointment. IV sedation is a particularly effective method of sedation, especially for longer procedures. Using IV sedation, we can add various medications to further relax you and make you feel more at ease during your procedure. Contrary to popular belief, you will not be unconscious when using IV sedation. You will be able to hear and respond to our professionals as you receive care, though you will require a ride to and from your appointment. If your anxiety keeps you out of the chair, our IV sedation will keep you calm and comfortable in it. 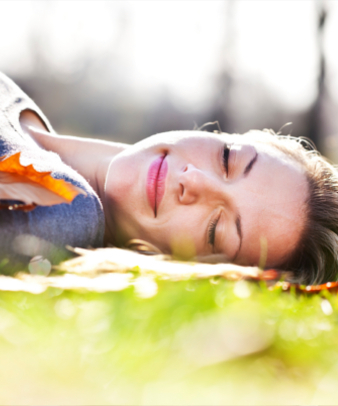 Modern sedation dentistry methods are safer and more comfortable than ever before. Please do not allow anxiety to keep you from getting the care you need. Whichever sedation method you choose–laughing gas, conscious sedation, or IV sedation–we are confident that we can help ease your anxiety during your visit. If you have any questions about sedation dentistry, please contact us. If you have anxiety about a procedure, tell our staff when you set your appointment. We will be better able to serve you if we know about your needs ahead of time, so you feel comfortable before you even walk in the door. We are here to help you relax at all of our Phoenix locations, including Mesa and Scottsdale.